Watch November 22, 23 & 24, 2014 at 6:30pm on WORLD, or watch streaming live below. 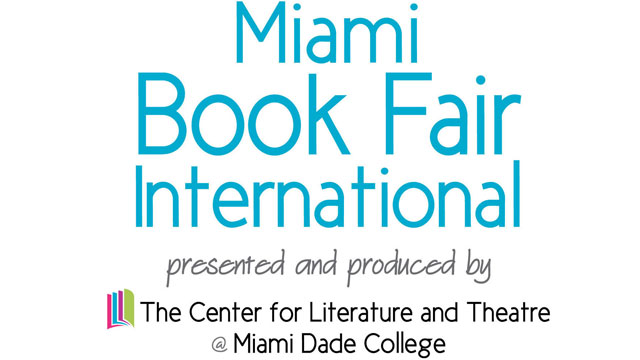 Coverage of the event will span three days and will include more than 50 author interviews ranging from Richard Ford, Jason Segal, Steven Johnson, Judy Blume, Andy Cohen and John Cleese to 15 panel discussions featuring PBS NewsHour’s Gwen Ifill as moderator, as well as highlights of street flavor in Miami from WPBT arts and culture reporter, Kalyn Chapman James. Coverage will beanchored by PBS NewsHour’s Jeffrey Brown, co-hosted by New York Times bestselling author, Kelly Corrigan and Kalyn Champan James. Working with PBS, PBS.org, PBS Digital Studios, The WORLD Channel, PBS NewsHour, WPBT/Miami, WNET, WNYC’s Leonard Lopate Show/Book Club, and others, and thanks to major funding from The John S. and James L. Knight Foundation, DPTV will make the coverage available to all who wants it. In addition, segments will be archived and available for on-demand viewing across station websites and all PBS video apps, including iPhone, iPad, Xbox, Roku, Apple TV and YouTube.